Please join us for a graduate student professional development luncheon. 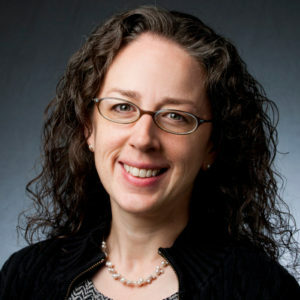 Debra Mathews, PhD, MA, is the Assistant Director for Science Programs for the Johns Hopkins Berman Institute of Bioethics, and an Associate Professor in the Department of Pediatrics, Johns Hopkins University School of Medicine. As the Assistant Director for Science Programs, Dr. Mathews is responsible for overseeing the Stem Cell Policy and Ethics program and the Program in Ethics and Brain Sciences, as well as other bench research-related endeavors in the Berman Institute. She is also a member of the steering committee of The Hinxton Group, an international collective of scientists, ethicists, policymakers and others, interested in ethical and well-regulated science, and whose work focuses primarily on stem cell research. Dr. Mathews has been an active member of the International Neuroethics Society since 2006 and has served on the Society’s Board of Directors since 2015. Dr. Mathews’s academic work focuses on ethics and policy issues raised by emerging biotechnologies, with particular focus on genetics, stem cell science, neuroscience and synthetic biology. In CRISPR: A path through the thicket, a paper in Nature, Dr. Mathews and colleagues discuss the ethical questions of genome editing and present recommended actions for continued research.